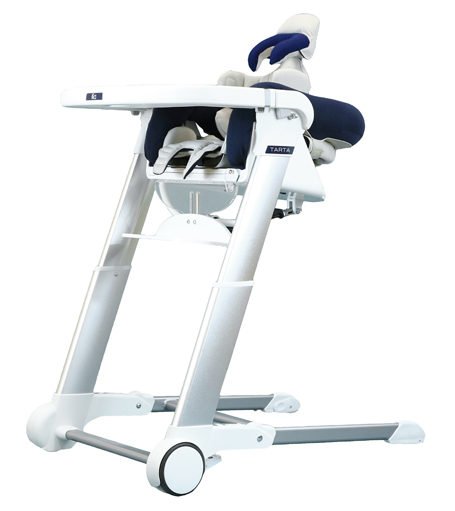 The Tarta Kid is an innovative seating solution, designed to correct and maintain postural alignment for children aged between 8 months and 3 years old. Using a combination of design, materials and technology, the system is devised to be adaptable to each individual child during their growth and physical development; whilst at the same time, minimising physical effort and discomfort, and maximising efficiency. Several base options make the Kid seat unit a truly flexible supportive seating solution perfect for a range of situations; from highchair to pushchair or dinner table. 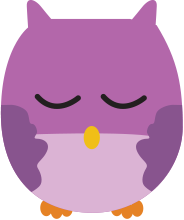 A range of bases are available to be used in multiple situations within every day life. 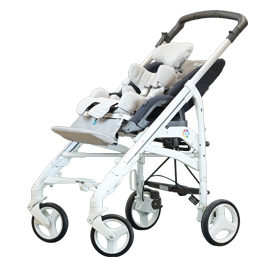 Base Options: Stroller, Wooden High Chair, Adjustable High Chair, U Ground Cushion with wedge support. 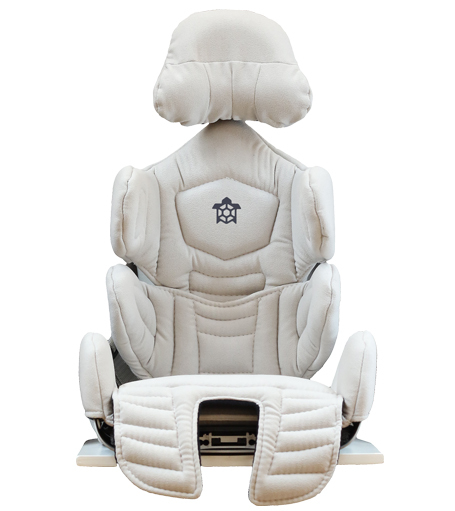 Foam and microfiber pads have been designed for full comfort and protection whilst using the seat. The Kid cover can be completely removed from the chair and is fully machine washable allowing for quick and easy cleaning. 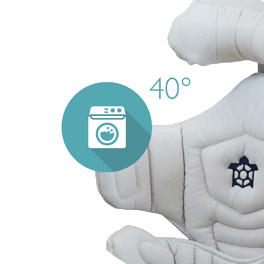 The soft ecological microfiber material ensures maximum wash-ability and resistance over time. 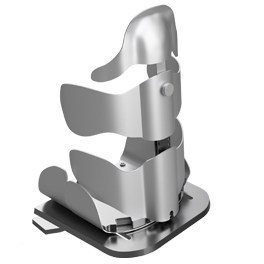 The flexible aluminium frame of the seat unit enables the width to be altered with simple manually exerted pressure. This allows the supports to wrap around the child also providing a feeling of comfort and protection. The Kid offers smooth and simple adjustments to height, depth, inclination and width for maximum functionality, flexibility and efficiency. 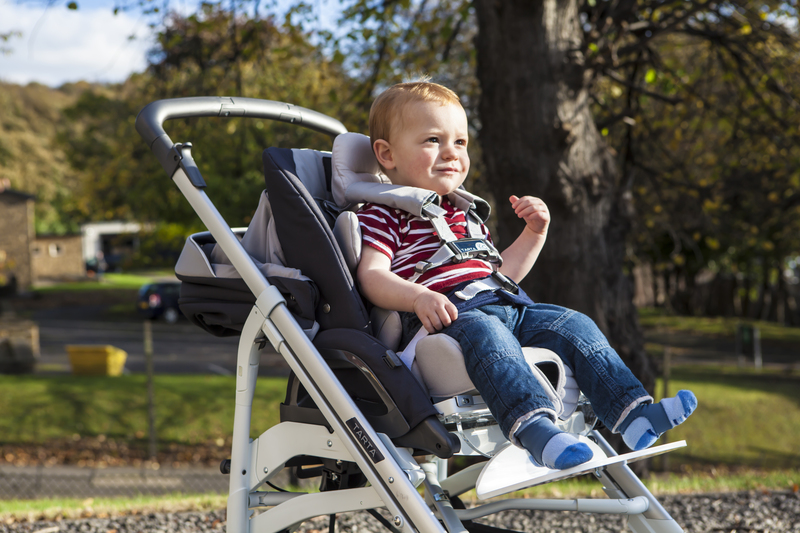 The design of the Kid provides postural support whilst being aesthetically pleasing and adaptable for everyday life. 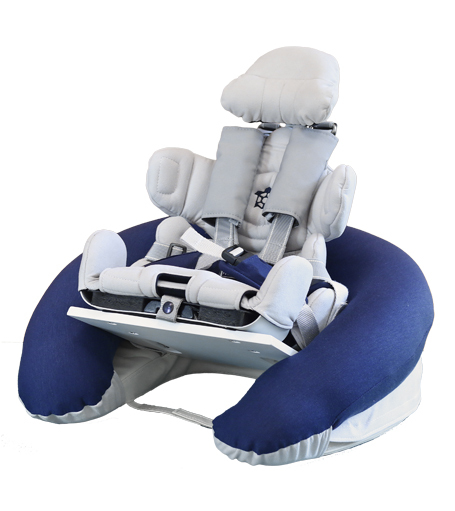 The extremely soft and comfortable abduction block keeps the child well supported with their hips neatly positioned at the base of the seat. 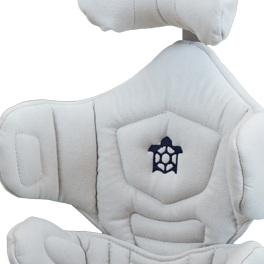 An efficient and practical support that helps the child to maintain the correct body alignment. Easily attached by hook and loop fastening material. The height on the aluminium highchair can be simply adjustment. 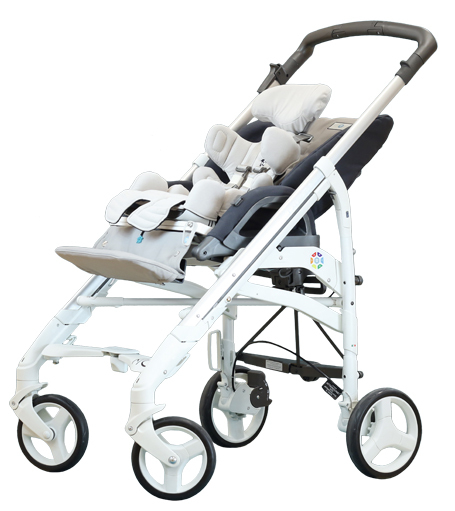 Wheels allow easy manoeuvring and the built in tilt-in-space is perfect for those after-dinner naps! To help correct body positioning, the specifically shaped lumbar wedge can be positioned at any desired height and attaches easily by hook and loop fastening material. 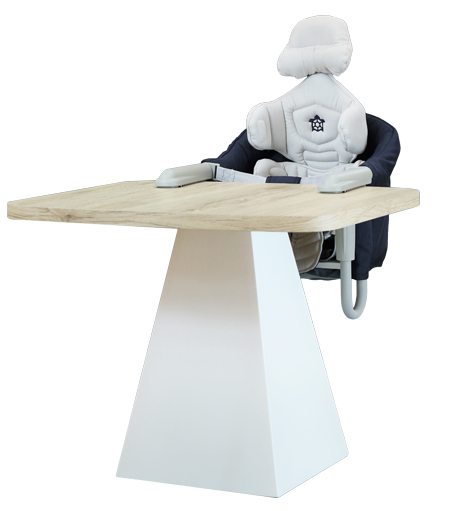 Designed with a ‘U shape’ microsphere cushion, the mandibular headrest allows the parent or carer to adjust the shape and provide specific positioning for targeted support. 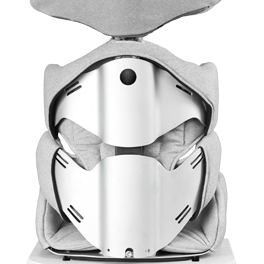 Provides head support beneath the occipital portion of the head, whilst also providing moderate lateral head support. 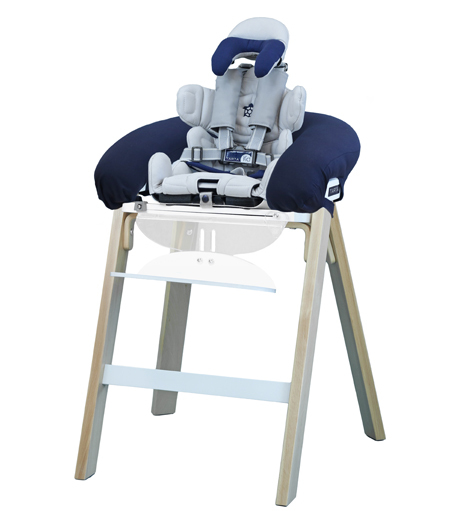 The pelvic belt is used to hold the pelvis to the back of the seat to ensure a good position, whilst also preventing the child sliding forward and out of the chair. 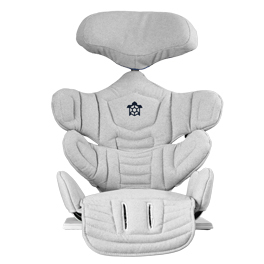 These foam pads can be placed under the padding of the seat to offer additional comfort and postural support. Simply connects to the pushchair to keep your child dry and warm on rainy days. It is also easy to fold away and store in the built in basket. 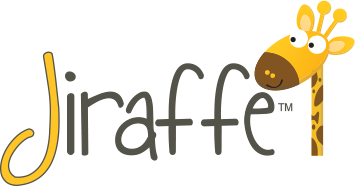 The harness securely fastens over the top of the shoulders to prevent the child from falling forward while still allowing relative freedom of movement. Provides effective and comfortable head positioning with tool-free adjustments for height and shape. The table seat is specially designed to contain the Kid seat unit. It is light and easy to transport and can be easily attached to most tables with its specifically designed clamping system. The specifically shaped U-Cushion, used in conjunction with the seat unit, creates a supportive floor based seating system, allowing the child to sit independently with hands free for play. The cushion is also padded with polystyrene granules to offer additional comfort and support. The covers can also be easily removed and washed. The U-Cushion with wedge support must only be used on the floor and the child must never be left unattended. The wooden high chair is both light yet durable and at a height of 55cm it will fit any standard size table. It includes a height adjustable footrest, an inclined base of 8° and a Tarta ‘U-Cushion’ to provide comfort and style. Due to its neutral colour, it blends in well with all interiors and looks great in every home. Attach to the footplate to raise the footplate surface by 7mm. 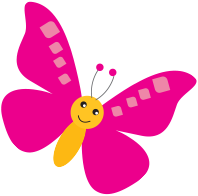 Also provides a softer surface for children who do not need more structured foot positioning.